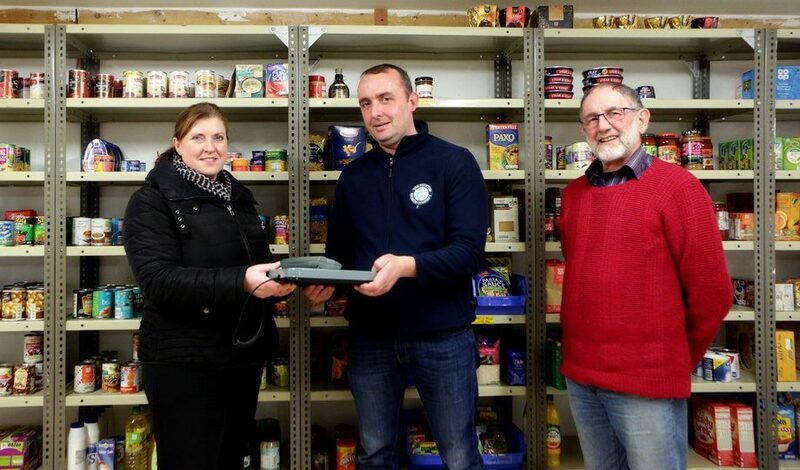 SSC's Robert Currie presents food bank volunteers Katie Walker and Gavin Elliott with new scales. Photo: SSC. The foodbank makes an emergency three-day supply of food and toiletries available to those in need, as well as offering advice to those who use its service. Helen MacLean, chair of Uist and Barra Foodbank, said: “We would like to thank the Scottish Salmon Company for their generous donation.